This has been my go-to brow product for such a long time, it has a slight tint to define your brow hairs and it has the best brow wand in the bizz for grabbing each and every hair and fixing it into place without any tackiness or stiffness - Its magic! Perfect for grabbing, extending and defining my naturally fine & short lashes, the brush is also slightly curved making it easy to use, especially when you're in a rush which I always am! Plus, it contains caffeine which gives that extra boost! 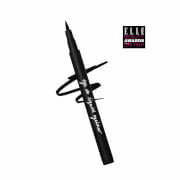 Eyeliner: Start with the wing, and dot between lashes for the ultimate kitten flick. 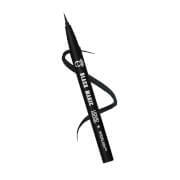 Brow Gel: Remove excess product from brush and apply in short upward strokes using the tip of the brush to shape and style brows for long-lasting hold. Applies wet but dries to a natural finish. Mascara: Comb wand through lashes. Repeat to build and create desired effect. Brow Gel: Aqua (Water), Butylene Glycol, SD Alcohol 40-B, PVP, Phenoxyethanol, Carbomer, Tromethamine, Chlorphenesin, Garcinia Mangostana Fruit Extract, Propylene Glycol, Brassica Oleracea Italica Extract, Ginkgo Biloba Leaf Extract, Hydrolyzed Keratin, Hydrolyzed Corn Protein, Hydrolyzed Soy Protein, Hydrolyzed Wheat Protein, Disodium EDTA, Mica, FD&C Red No. 40 (CI 16035), FD&C Yellow No. 5 (CI 19140), D&C Blue No. 1 (CI 42090), Iron Oxides (CI 77491, CI 77499). Mascara: Aqua (Water), Ammonium Acrylates Copolymer, Synthetic Beeswax, Butyrospermum Parkii (Shea) Butter, Copernicia Cerifera (Carnauba) Wax, Ozokerite, Acacia Senegal Gum, Stearic Acid, Polyvinyl Alcohol, 1, 2-Hexanediol, Polyglyceryl-3 Methylglucose Distearate, Magnesium Aluminum Silicate, Triethanolamine, Microcrystalline Wax, Phenoxyethanol, Phenyl Trimethicone, Dipropylene Glycol, Simethicone, Rayon, Chlorphenesin, Dimethicone, Hydroxyethylcellulose, Disodium Edta, Laureth-21, Alcohol, Magnolia Officinalis Bark Extract, Pentaerythrityl Tetra-Di-T-Butyl Hydroxyhydrocinnamate, Allium Sativum (Garlic) Bulb Extract, Camellia Sinensis Leaf Extract, Houttuynia Cordata Extract, Perilla Frutescens Leaf Extract, Perilla Ocymoides Seed Extract, Polygonum Multiflorum Root Extract, Peg-40 Hydrogenated Castor Oil, Arginine, Caffeine, Silica, Sodium Dehydroacetate, Apigenin, Biotinoyl Tripeptide-1, Butylene Glycol, Oleanolic Acid, Ppg-26-Buteth-26, Angelica Gigas Root Extract, Astragalus Membranaceus Root Extract, Atractyloides Japonica Rhizome Extract, Biotin, Cinnamomum Zeylanicum Bark Extract, Cnidium Officinale Root Extract, Ethylhexylglycerin, Glycyrrhiza Glabra (Licorice) Root Extract, Paeonia Albiflora Root Extract, Panax Ginseng Root Extract, Poria Cocos Extract, Rehmannia Chinensis Root Extract, D&C Black No. 2 (Ci 77266), Iron Oxides (Ci 77499). This set is so amazing because these are the main proucts i use in my everyday routine.